An excellent curriculum to focus on basic and essential words. This curriculum features a reproducible book with lesson plans and dozens of engaging worksheets. 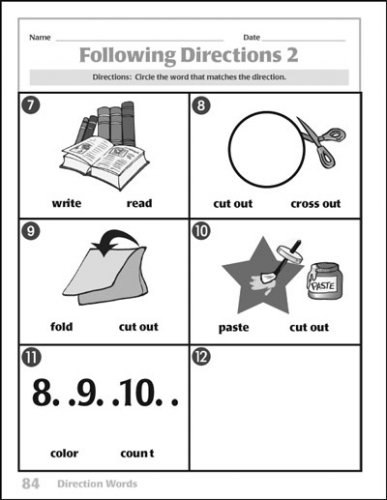 The program also includes a set of hands-on slide charts called WordRules, a handy classroom resource. Ideal for those who struggle with vocabulary concepts because it gives plenty of practice to reinforce new words. 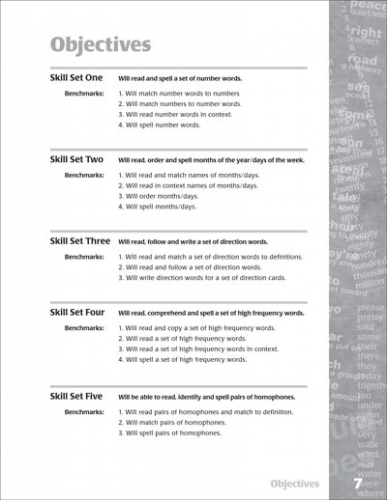 Skill sets include number, calendar, direction, math and high frequency words plus common homophones and synonyms. Step-by-step lesson plans, objectives with benchmarks and student assessments help you organize class time. 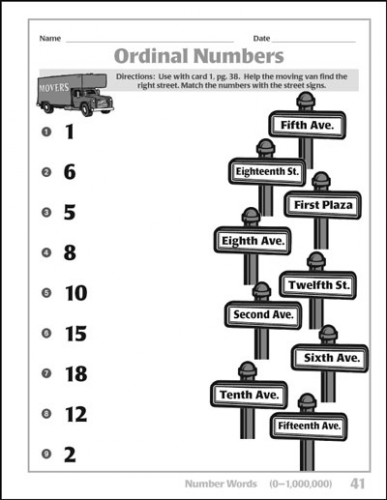 Illustrated worksheets, word games and other activities appeal to students of all ages. Authored by Judi Kinney, a veteran special education teacher. Covered spiralbound book, 242 pages., includes a Win/Mac CD with printable PDF, 2005. 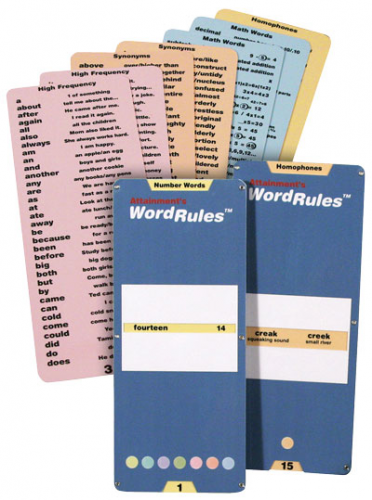 Includes 2 sturdy laminated 9½ x 5-inch WordRules with 9 color-coded vocabulary inserts.